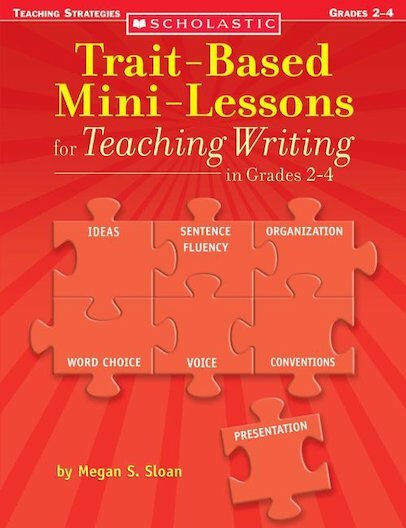 More than 25 effective and engaging mini-lessons to help students strengthen their writing by learning about the traits: ideas, organization, voice, word choice, sentence fluency, conventions, and presentation. Mini-lessons focus on different stages of the writing process, from prewriting to editing. Includes student writing samples and suggested children’s books to model each trait.